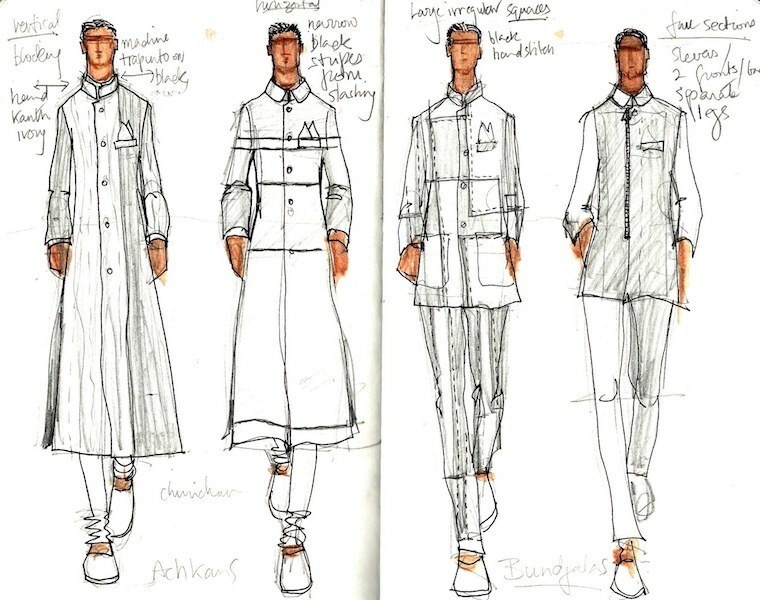 currentMood: Abraham & Thakore had an international presence first and then you focussed on the Indian market..was it hard to break in? David Abraham: It wasn’t as abrupt as it appears because we’d already started selling domestically. We already had two or three stores in India before our focus changed towards the Indian market. We started showing on the runway, the design approach changed a bit as well, so in that sense it was a move. cM: Your label completes 25 years this year..
DA: Yeah, sort of yeah! It’s a day to day thing..you just get through one and get on to the next, that’s just how I see it. Move from collection to collection. cM: How has the market changed from when you started to what it is right now? DA: The change has been so rapid.. it’s mind boggling when you think of what’s happening. Technology has played a big role, but another factor is that we’ve gone through the most extraordinary amount of social advancement in the last 10 years. Consumer profiles have been rapidly changing. The level of sophistication of the market has also increased. There are all kinds of customers out there – from the super aware, to a younger demographic or anti-fashion people, to those who are trend or brand driven. In the past few years we’ve also rediscovered our traditional identity. It began with the sari, handlooms and the younger generation started working with traditional weaves – which has now become an integral part of Indian fashion week. So the speed at which everything is changing is very interesting. cM: Do you think there is a real market for sustainable fashion? Are they willing to pay the extra premium for it in India? DA: I don’t know if they are ready to pay an extra premium for it yet. It’s the beginning of a movement which I think is crucial. But these things are incremental, develops over a period of time. And if people are going to respond to it more as the environment deteriorates, then it’s no longer a fashion trend thing but led by necessity. For example, the winter we created in Delhi last year – suddenly it hits home and people start exploring other issues which leads to a greater awareness. So it doesn’t quickly translate into people willing to spend more on a garment, or use less harmful methods of consumption. But it will slowly lead to an awareness of the business of manufacturing and its effect on the environment. One does see the change. When I go to my neighbourhood supermarket in Noida, which isn’t exactly the epicentre of the trend world – supermarkets are selling organic rice, high fibre food and natural products. People are buying freshly pressed juices in supermarkets! And I’m not talking about fancy little Khan market shops! So I feel that fashion people will begin to realise that there are certain things that are very destructive and may stop using them less. But having said that, we have one of the smallest footprints in the world when it comes to waste. If you look at the landfills in the U.K, the waste there is just appalling, even though their awareness about this subject is very high. They chuck everything that they wear. We recycle everything that we buy. We never throw things away here..
DA: Not yet, but it’s already quite deeply engrained in us. If something gets torn, we are willing to get it repaired and continue wearing it. This is very much a part of our cultural attitude. And I think the cultural attitude determines consumption. cM: How important was sustainability to you when you launched your label in 1992? DA: It wasn’t something that we talked about very much, it wasn’t a major concern. But the thing is, it was almost like a matter of chance – since we always worked in the space of craft, handloom and the smaller industry. So I think that what we manufactured and produced was always relatively sustainable. So I don’t think we made a big ideological shift – we just happened to fall back in trend. cM: What methods do you implement to ensure that your production is sustainable? DA: You know it’s a marginal issue. Of course we do use cotton, and try to use fibres that are relatively safe. We try and avoid using chemicals that have a negative impact on the environment during production. Whereas from the design perspective, I strongly believe that as a designer the kind of product you design is very important – make something that will work 3 or 4 years from now. To me, that is the responsibility of the designer. Then go and look into your raw materials and stuff. But if you start designing a product and say that it has to be very cool and you don’t care if it’s for once and thrown away, then that’s the beginning of the problem. A designer has to be very aware of what he does, because they shape consumption and production too. 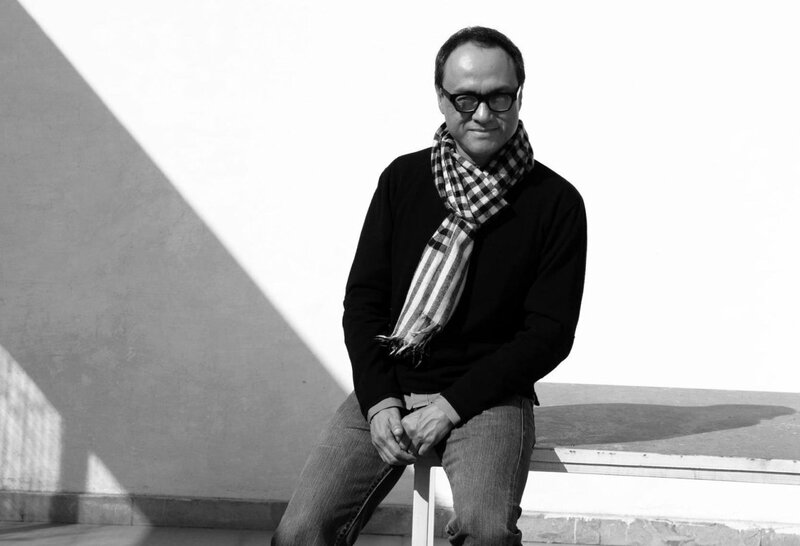 cM: How easy or difficult is it to be a sustainable designer? DA: Difficult. It’s very difficult to have a very pure manufacturing supply chain. I think one just has to use their experience and knowledge and try to figure out what is actually being used everywhere you can. I remember many years ago there was a movement against azo dyes because they were considered dangerous. An effort was made to remove them and now I think most dyes are azo free. It took many years for that to happen. Labelling of products that are sustainable by organisations that can verify it should be implemented. But it’s still a relatively disorganised industry and there isn’t a that much of a push for it. Because the bulk of the fashion industry is not interested in sustainability. In fact, the very concept of fashion is unsustainable. So there is an inherent contradiction here. It’s like you’re trying to do something and not feel bad about it, you know what I mean? Two of the most destructive fields are fashion and technology. No one talks about the amount we spend on Apple phones! Why do they get updated every year? It’s just appalling, because when you think of the waste it creates – metal, acid..it’s just appalling! In terms of fashion, identify the worst wrong and act towards it, for example, don’t use a specific dye because it poisons the river. 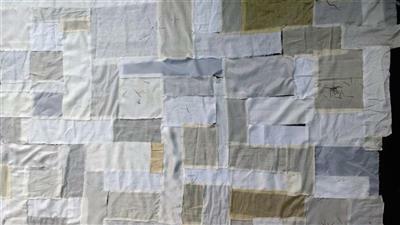 Some people are also misinformed – they think that organic cotton is the solution to everything. But organic cotton requires an enormous amount of land and water, much more than non organic cotton. So how do we solve this? It’s difficult. But I guess the first step is awareness. At least try and understand what is happening and make an educated decision about it. Think before you buy, think before you throw away..you know, begin to attach value to what you possess in terms of products. This could be the seed towards sustainability. 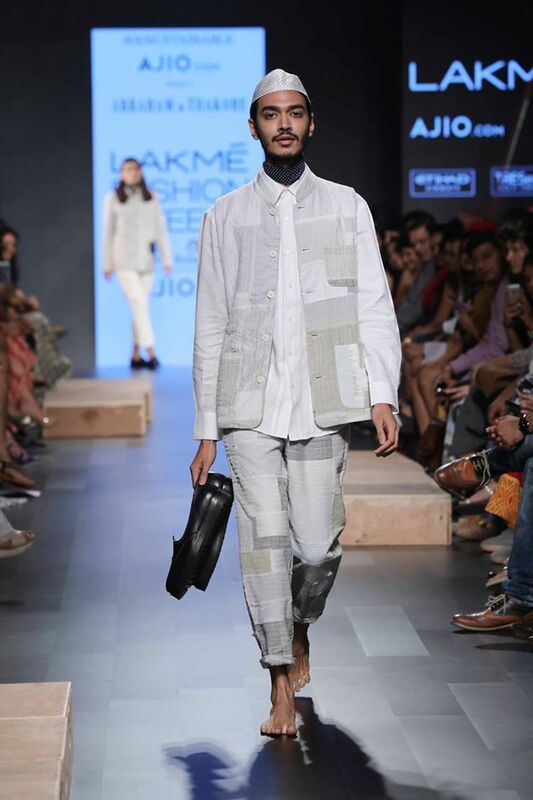 cM: Tell us about your previous collection, the dandi March for fashion week where you incorporated up-cycling. Do you see your brand heading in that direction now? DA: We want to continue and incorporate it every season. It also makes economic sense! Every factory generates X amount of waste. And if we can somehow use that waste to create more products, that’s one good step towards sustainability. 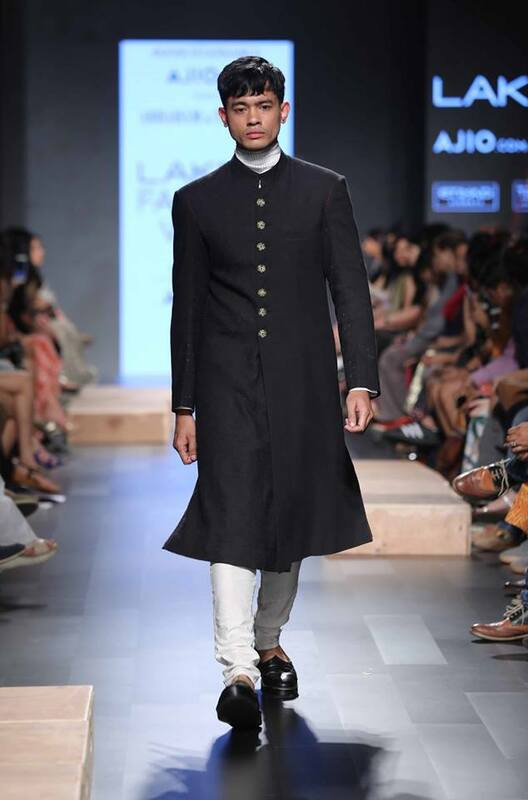 The dandi march collection started around this idea. It requires a lot of work in terms of designing because the end product has to look good! So we will continue this, but it will be a part of the business, not the only part. cM: The fashion industry is the second highest pollutant after oil. As a designers what can they do to change this? DA: The designer has to be educated and have the right attitude. If what you’re designing has a very short life then try to do something that lasts instead. These are decisions at general level that the designer starts making. The greatest advantage of the fashion industry, particularly in India is that we can actually make a difference unlike the rest of the world. Because we have small scale industries here, our weavers, embroiders, etc are scattered all over India. We have a lot of non-organised production. So we can decide if we want to work with printers from a village in Gujarat and make sure we generate enough work for them. These are issues that affect sustainability as well. It’s not just about chemicals and environmental destruction, but also about the uprooting of people, moving away from their traditional occupation, moving to cities to work in factories instead of weaving in their village. If we can generate enough work for the handloom weaver, we’re a part of the sustainable equation. This is generally not discussed because it doesn’t apply anywhere else in the world. People in the west are more concerned about supermarkets and fair-trade while they are exploiting natives in third world countries. Basically to save their conscience. So our craft industry is not a concern to them, they don’t even have a craft industry of their own! The fact is that they aren’t even manufacturing there anymore – they are buying imported goods! Manufactured by us! I think we need to look at this whole conversation and change the angle. I’m talking about this in relation to sustainability of livelihood – the importance of supporting small scale industries. 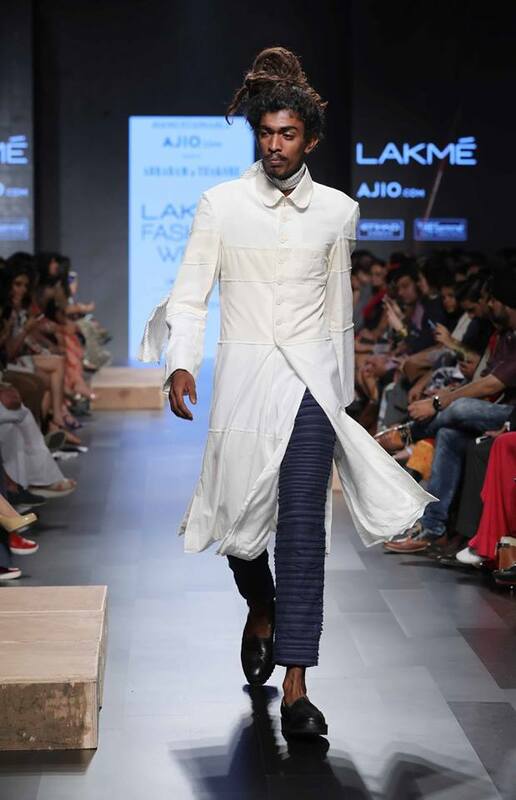 There’s a lot of talk about handloom and khadi now, and I think it’s fantastic! But this is something that’s only pertinent to us. The outside world is not interested in it, they don’t even know about it, they can’t understand it.